The Cool Stuff in Premiere Pro, Second Edition, is written by people who have crash-tested Premiere Pro; they're not just certified in the software, they make their livings using it. The authors don't teach the basics of Premiere Pro in a vacuum, they apply advanced techniques to real-world editing scenarios. Click here to learn more about the authors. What is the origin-story of The Cool Stuff in Premiere Pro? JARLE: I wanted to write a book on Premiere that was packed with high-end, advanced techniques, and also explained why these techniques are used. DYLAN: When I switched back to Premiere in 2014, I needed to know why Premiere did things in certain ways – sequence settings, audio channels, export options... the real “under the hood” answers. The Cool Stuff in Premiere Pro was that resource for me. I had no idea I’d get to co-author the revised edition! PAUL: Since I was such a fan of the first edition, it was a real honor when Jarle asked me to help co-author this updated edition. ANDY: I was first introduced to Jarle when I purchased the original The Cool Stuff in Premiere Pro book years ago while I was still editing full time. The revision process began over a year ago when Jarle asked me to assist him with writing the 2nd edition. How is The Cool Stuff in Premiere Pro different from other Premiere Pro books? JARLE: The Cool Stuff in Premiere Pro assumes you already know things like where to find the timeline and how to add an effect. It goes really, really deep into the software, and has info that’s not available anywhere else. It’s also got a lot of video production knowledge that you need when you want to use the tools in Premiere. You’ll learn the basic principles of audio mixing, color grading fundamentals, and motion graphics design... and, of course, how to use the tools in Premiere for great results. I have nothing negative to say about other books. I know the authors, and they are very nice people with great knowledge. I think their books and mine are aimed at different audiences, and can co-exist happily. DYLAN: It’s the ultimate resource! It’s written by editors, for editors. And it doesn’t stop at a certain skill or complexity level, like other books on Premiere Pro. We go all the way from keyboard shortcuts, to how features are engineered. For example, there’s an equation to determine how big of a frame size your GPU can handle. We put everything we know about Premiere into this book, because we figured that’s what will be most useful to you. PAUL: There are a lot of great books and tutorials out there that focus on getting started with Premiere Pro, but once you’re familiar with the software, where do you learn how to edit faster or better? That’s where The Cool Stuff In Premiere Pro is different from most other training resources. ANDY: The Cool Stuff in Premiere Pro is different from other Premiere Pro books in that it dives deeper into Premiere’s tool set. Most of the time, other books, tutorials, and classes cover Premiere from a basic level, and do not introduce editors to the advanced procedures. This updated version has over 1,200 pages and 2,000+ screen shots. There is a massive amount of information covered from all the author’s years of experience using Premiere. Every editor will be able to pick up new workflow tips from this book to help master Premiere. Why should editors read The Cool Stuff in Premiere Pro when they can just watch YouTube instead? JARLE: When it comes to video tutorials, there’s so much bad info out there. I see people with shallow knowledge explaining how to do things, and they clearly have no clue that there are faster methods that will give better results. I hate it when false info gets spread. Pictured above is the Contents at a Glance for "The Cool Stuff in Premiere Pro.." The actual Table of Contents is 39 pages long! What was the process for writing/editing The Cool Stuff in Premiere Pro? JARLE: For this new version, I knew it would be too much for just me to write about all the new and changed features, so I contacted Paul, Andy, and Dylan, and asked them if they wanted to participate, updating two or three chapters each. I knew that they all had a thorough understanding of Premiere, and knew how to explain technical stuff. They all said yes, probably because they had no idea what kind of task they were taking on. Writing a book is much more work than people think. DYLAN: It was definitely a lot of work! Each of us owned two or more chapters – for me it was the editing chapter, and motion graphics inside Premiere Pro. We each started with the previous draft and a set of notes from Jarle about new features. Adobe has added a lot since 2014! Each chapter was about 50 pages in Word doc form, so it was a big process to organize all the sections, add the best tips, update hundreds of screenshots for CC 2017, and test features to make sure they work the way we describe. ANDY: All the authors tried to focus on what the editor is trying to accomplish, and to explain the Premiere feature in detail, versus a laundry list of tips. In all the chapters I wrote, I tried to break down the tips and tricks into easy-to-understand steps. For example, the new Proxy Workflow chapter went through many revisions due to improvements the Adobe engineering team made to the process. With larger frame sizes and camera improvements coming to the market every year, the proxy workflow in Premiere is a game changer for editors. You don’t have to have the latest high-powered computer or be hooked up to a large SAN. Create your smaller proxies, work off a laptop for your rough cut, and re-conform to the 4k, 6k, or even 8K originals when you’re ready for the online. How did you fact-check all the information in the book? JARLE: The fact checking was quite easy actually. 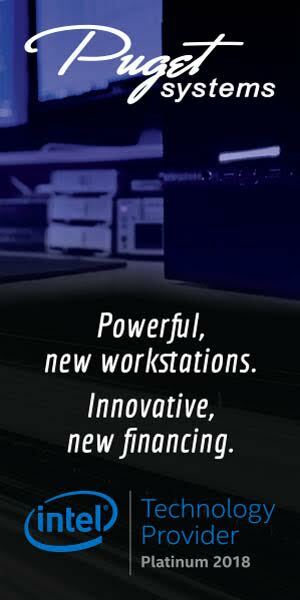 I have been working closely with the Premiere Pro team for many years. It’s great to be in a situation where I can ask the programmer who wrote the code if my guesses are right, or discuss with the engineer if my explanation of a feature is correct. Besides, we had Colin Brougham, who works on the Premiere Pro team, as the technical editor. DYLAN: Most of my fact-checking was done right in the current version of Premiere Pro. But in some cases, like Essential Graphics, we were writing while features were in prerelease – so Adobe was still adding to them as the draft came together. That’s when it was very helpful to email folks like James Strawn at Adobe and ask “How is this going to work? Our readers must know!” They were great about getting us that info. PAUL: I think one of the most challenging parts of updating this book is reviewing the old ways of doing things in previous versions of Premiere, and making sure there isn’t a newer, better way to do things now, which there usually is! Think of all the audio effects and color effects that are now in Obsolete folders in the Effects panel - all of this stuff had to be replaced and updated. ANDY: We would share our individual chapters, and each of us would go through them to try to catch any features that have changed or needed more clarification, so as not to confuse the reader. Lastly, the entire book was fact-checked by Adobe’s own Colin Brougham. Who is The Cool Stuff in Premiere Pro intended for? What type of editor/skill level does it target? JARLE: The book is aimed at both professional editors and the editor who feels that he or she has the basics covered, but wants to work faster and get better results. The Premiere Pro Classroom in a Book is a great resource to get you started, and The Cool Stuff in Premiere Pro is for intermediate and professional editors who need more in-depth info. DYLAN: If you’ve edited before, and used Premiere Pro before, this book is for you. We don’t go into detail on super basic features, but for everything else there’s lots of detail. The Cool Stuff shows what you can do with Premiere Pro, how to do it fast, and why it works that way. PAUL: If you don’t know what a bin is or how to do a 3-point edit, then this book is probably not for you. But if you’ve been using Premiere for over 2 years, you feel as though you’ve got a good grasp of the fundamentals, and now you want to edit faster or give your work a more professional look and sound, then The Cool Stuff in Premiere Pro is the right book for you. ANDY: The Cool Stuff in Premiere Pro is intended for every editor who uses Premiere Pro every day. High-end Hollywood or broadcast editors, indie documentary editors, corporate editors, or even wedding editors can use this book to help master Premiere. Should The Cool Stuff in Premiere Pro be read cover-to-cover or as a reference? JARLE: At 1,200 pages, I doubt if anyone will read it cover to cover. Well, nerds like me would do it, just to be sure they know every little wrinkle and corner of the software. DYLAN: I recommend searching a feature you want to know more about, or picking a chapter and reading through it. Everyone should read the Advanced Workflows chapter at the start. It will give you lots of ways to work more quickly and effectively, that aren’t covered in the other books out there. PAUL: Personally, I’ve always preferred to read editing books cover to cover. It’s the areas where you think you know everything that you make the biggest, most significant discoveries. ANDY: Use the table of contents as a reference, and pick and choose a couple concepts you want to understand in greater depth. Keep it at your editing desk and, when you run into a problem, dive into a chapter for quick answers. What is one thing that most editors don’t know about Premiere Pro that they’ll learn in The Cool Stuff in Premiere Pro? JARLE: Oh, there are many things, but to pick one simple example... Many editors complain that they can’t stack Lumetri Color corrections because the playback will stutter. Very few know that you can improve the performance of multiple Lumetri corrections by turning off the sections you’re not using. If you’re adjusting only the Curves, switch off the Basic, HSL Secondary, Creative, Color Wheels and Vignette sections, and your GPU has a lot less processing to do. This way, you can stack several layers of Lumetri corrections without dropping a frame. DYLAN: The maximum frame size for a Premiere Pro sequence is 16,384 x 8,192. The maximum length for a sequence is 24 hours. And so much more – hundreds of pages more! PAUL: I know a lot of editors who spend every day working in Premiere, and very few of them take the time to set up presets. There are so many things that can have presets: effects, audio channels, track heights, export settings, etc. Most editors are doing the same repetitive tasks throughout the day. Once you automate those tasks, you’d be amazed how much faster you get things done. ANDY: The Troubleshooting chapter will be helpful for everyone. It compiles years of troubleshooting experience from all the authors. Want to learn how to deal with media cache issues in Premiere? It’s covered in the book. Want to know why your export has an unknown error? It’s covered in the book. We all need to understand how to fix things on the fly, and this book is filled with tips to address some of the most common troubleshooting issues we see in Premiere. What is one thing you learned about Premiere Pro in writing/editing The Cool Stuff in Premiere Pro? JARLE: I learned how the Maximum Render Quality and Maximum Depth settings do not matter when you’re in GPU mode. The logic behind these settings is quite complicated, and it took a few emails back and forth between me and Steve Hoeg (Sr. Engineering Manager - Adobe Premiere Pro) to finally understand it. DYLAN: If you want to move the anchor point of your image, click it in the Program Monitor and drag it around. But if you hold down Option (Alt), you can move the image behind the anchor point instead of the anchor point itself. This is called “Kurt Wiley Mode” after the After Effects tester who suggested it years ago. Jarle’s book is full of tips like this! PAUL: I switch between Cross Dissolve and Dip to Black all the time, but I had always done one with my keyboard (Cmd+D) and the other one manually. But you can actually assign a shortcut to the second transition as well - it saved me so much time! ANDY: Stay away from merged clips! This old workflow can cause serious issues with your audio and multi-cam edits. To make your edit more stable, avoid using merged clips. Jarle Leirpoll is a Premiere Pro Master Instructor Trainer and runs PremierePro.net, where he shares free Premiere Pro tutorials, templates, presets, and projects. He worked at the Norwegian Broadcasting Corporation (NRK) for 14 years before starting his own company in 1996, which makes corporate movies and documentaries. He’s also writing books, doing Premiere and After Effects training for companies worldwide, and teaching media production at Norwegian universities. Jarle has trained people at Disney, Warner Bros., BBC, NRK, DR, Monster, Valve Media OY, Nordic Film & TV, and countless other broadcasters and media production companies. He has even trained Adobe’s own employees in Premiere Pro! He is also an official Test Pilot for Premiere Pro. Dylan Osborn - Emmy-winning editor and Certified Premiere Pro Instructor Dylan Osborn shows broadcasters and professional editors how to maximize their Adobe software in post-production. He has built workflows and conducted on-site training at CNN, CBS, A+E Networks, Spectrum SportsNet, and the EPiX channel and has been producing and editing broadcast television, short films, and documentaries in Los Angeles and New York City for over ten years. Paul Murphy is an in-demand editor and trainer based in Brooklyn, New York. With over 13 years’ experience, he was an early adopter of Premiere Pro in feature film editing. In 2012, he used it to edit Red Obsession, which won the Australian Academy of Cinema and Television Arts award for Best Feature Documentary. As a trainer, he has taught classes large and small, from beginners to industry veterans, for such clients as Bloomberg, CBS, HBO, Viacom, and Vice. Andy Edwards is an Emmy Award–winning cameraman with over 27 years of television production and post-production experience. His editing experience has included broadcast television shows, documentaries, Inc. 500 corporate clients, and government clients. Andy has delivered hundreds of weekly TV episodes to air at HDNet and AXS TV in Denver. Andy’s current position is Post-Production Engineer for AXS TV’s three locations in Denver, Dallas, and LA. 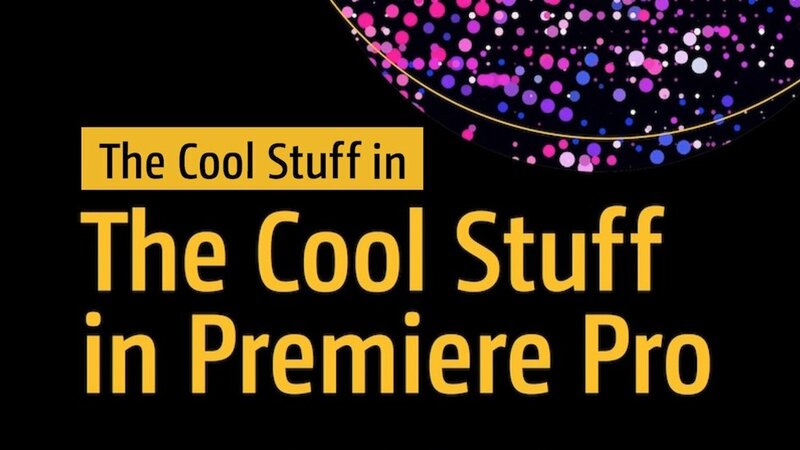 Get Your Copy of The Cool Stuff in Premiere Pro Today! Whether you read it cover-to-cover or use it as a quick reference, The Cool Stuff in Premiere Pro is a resource that should be on every editor's desk. It will accelerate the way you edit in Premiere Pro. Guaranteed.